Following are links to three recent articles featuring client Angela Nesbit. Both were a result of a PR effort to promote her May 2011 show in Greensboro, NC, at Tyler White Gallery. 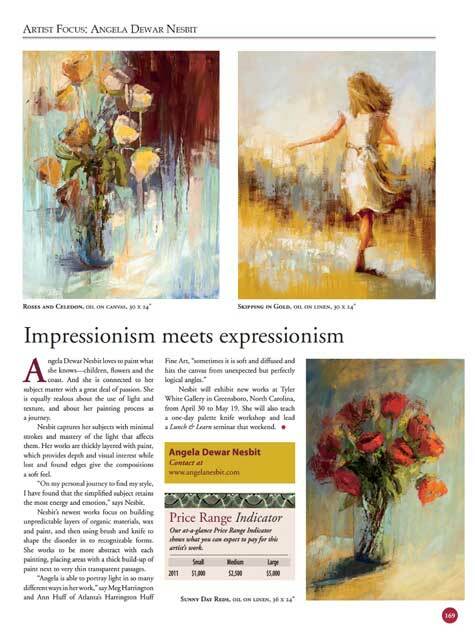 The first can be found in American Art Collector's May 2011 issue (read the pdf online here). 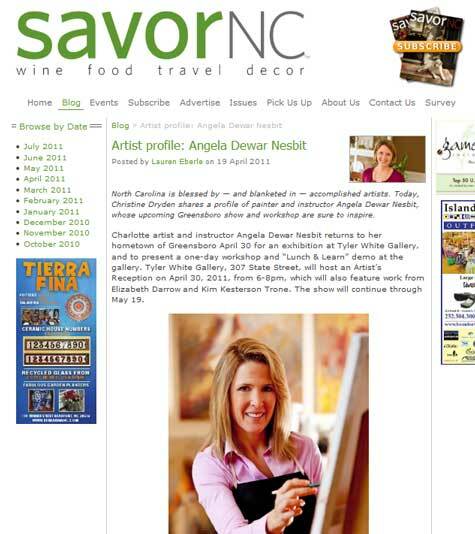 The second was a feature at the outstanding blog of SavorNC Magazine. And then a mention in Guilford Woman's "Go and Do" section.